Wetherby is a market town and civil parish within the City of Leeds Metropolitan Borough, in West Yorkshire. It stands on the River Wharfe, and has been for centuries a crossing place and staging post on the A1 Great North Road, being midway between London and Edinburgh. 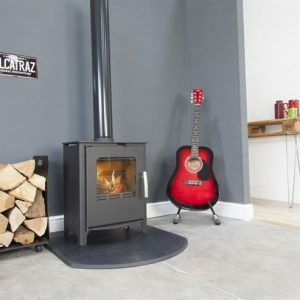 If you live in Wetherby and you are looking for a multi fuel stove you should really visit the Leeds Stove Centre. After all, the Leeds Stove Centre is one of the leading suppliers of multi fuel Stoves to the Wetherby area. With a huge range of multi fuel stoves to choose from, in numerous styles, you can see why we have become the number one choice for stoves in the Wetherby area. To help you choose the right stove, we have recently extended our showroom in Pudsey, adding a further two levels. Here you can view ‘live’ displays of many of our stoves and get a true feeling of how a stove would appear within your own home. To ensure we can offer you the highest quality stoves, we supply multi fuel stoves from the stove manufacturers that we consider offer the best value for money. Some of the experienced manufacturers that we stock include Dunsley, Beltane, Stovax, Yeoman and Burley. We also have a huge range of accessories to choose from, including door options, handles, coal hods, log baskets, companion sets and CO detectors. With the offer of such a wide choice of stoves, we feel that you are certain to find the perfect stove. Not only do we stock beautiful, high quality multi fuel stoves, we also are able to install it and any flue type. We employ a team of highly trained and experienced HETAS registered installers that are able to fit your stove quickly and efficiently. Want to know more? Please contact us on 0113 255 5622 to arrange an installation survey or for more details on any of our products or services.